It’s not news that certain locations and conveniences will raise a home’s value. A condo that is located steps from public transit and is within walking distance of a restaurant and fitness center will probably cost more than a similar home outside the city. But, you’ll be surprised to know just how much “walkability” impacts a home’s price. 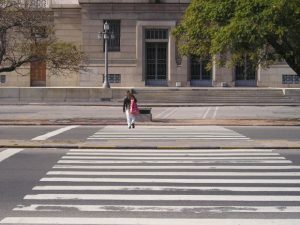 New research from the Brookings Institute has created a five tier scale of walkability. The scale measures metropolitan neighbourhoods and ranges from completely non-walkable places where everyone owns a car to amenity rich neighbourhoods where most people get around on foot. The difference in price between a Level 1 and a Level 2 home (from non-walkable to slightly more walkable) is $301.76 per month in rent. And, if you move from a Level 1 area to a Level 5 area, the difference in rent can be as large as $1,200 a month. If you already own a home in a walkable area, this is good news. The value of your home is likely to go up by $81.54 per square foot. And, walkability doesn’t just impact home owners; it is also good for businesses. A store located in a walkable area is likely to have higher retail sales, partially because of sidewalk traffic. Sounds like they’ve done just that. We don’t know about you, but all this talk of walking wants to make us buy new sneakers!